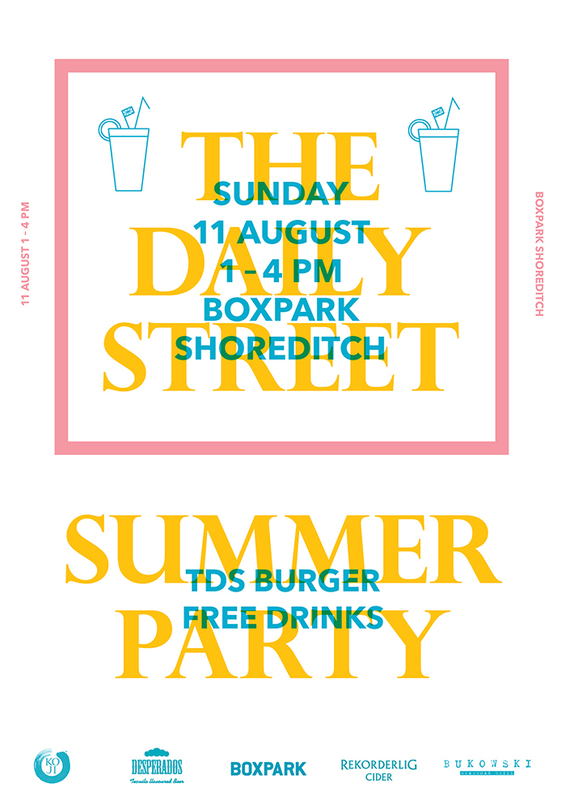 On Sunday 11th August we will be throwing our first annual Summer Party, hosted at Boxpark in Shoreditch and you’re all invited! Yep, you heard correct … we’re getting back into the event game at long last. Having not really ventured out into the event world since we hooked up with Lacoste L!VE back in 2011, this occasion is long long overdue. So it’s on that note that I have the pleasure of introducing our new annual Summer Party with the debut event being hosted on the sunny roof terrace of Boxpark in Shoreditch. Let me fill you in on how this is going to go down … We’re keeping things strictly British OG with our Summer Party. It’s just gotta be done when the sun shines! Think Jubilee street party and country fayre vibes with The Daily Street branded bunting all over the shop as well as some lovely gingham table clothes so we can all enjoy the sunshine and entertainment in style. We don’t want to go too old school, so to keep things current we’ve teamed up with the maestros at Bukowski Grill to create a very special TDS Burger especially for the Summer Party. It’s gonna be legit. Lastly, to help those limited edition burgers go down we’ve got a healthy amount of free drinks from the kind folks at Rekorderlig, Desperados and Koji. If you ask us, it’s set to be one of the best afternoons of the year (and obviously we’re not biased). 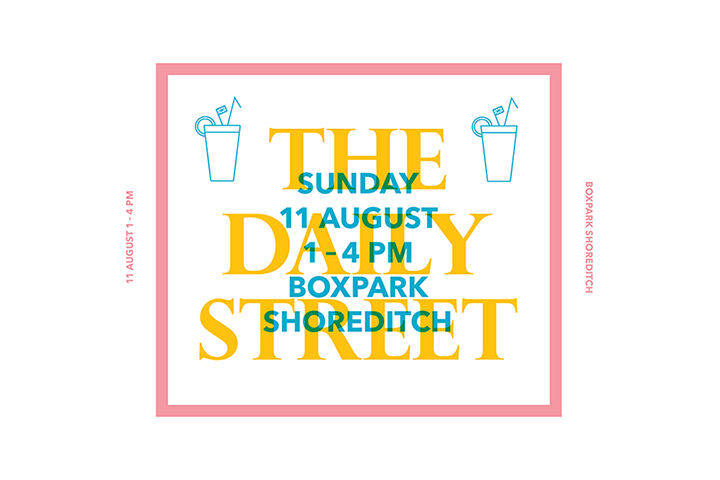 Please note – this event is only open to those who have a wristband, so make sure you get your names on the guest list by emailing us at rsvp@thedailystreet.co.uk as soon as possible or simply hit attending on Facebook. All are welcome. Numbers are limited and it’s a first come first served affair. PS. Check out the rad design our man Chris Benfield knocked up for us. It’s also his birthday on the day, so don’t forget to wish his a happy birthday when you see him. Benjart birthday sale & bowling party! Defiantly our type of party!